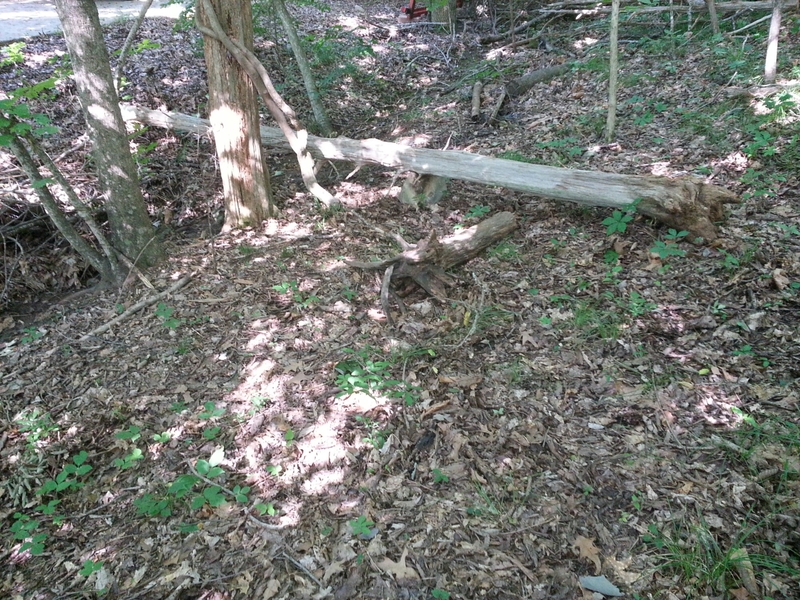 Instead of agile design, I went with the woodsman design methodology to build a bridge across a wet-weather creek bed. I saw several fallen cedar trees in the woods beside our driveway and the light bulb in my gulliver lit up, dim though it may be. Why build the ol’ tree trunk log bridge? After all, I didn’t name my company Tree Trunk Productions for nothing! 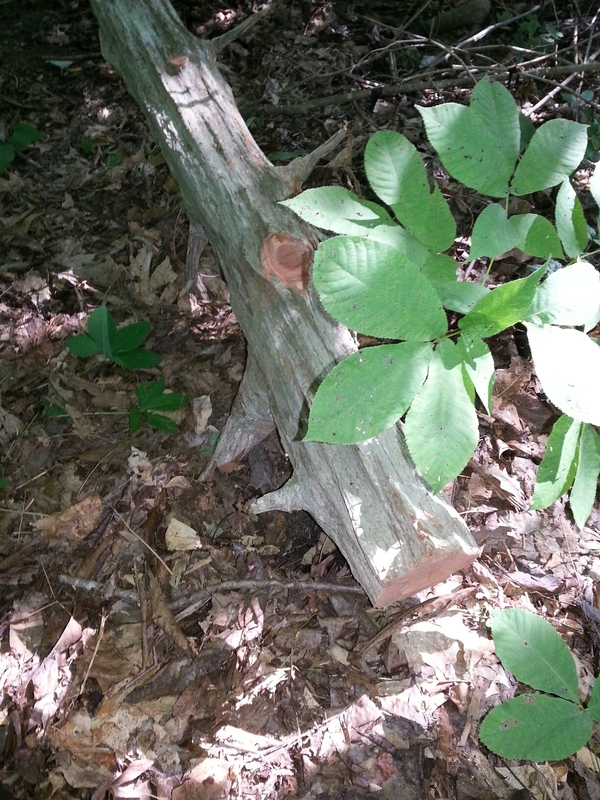 I found a log with a relatively flat side, used my handy-dandy D-shaped hand saw to remove limbs on that side and flipped the log on its flat side to drag it to the dryish creek bed. 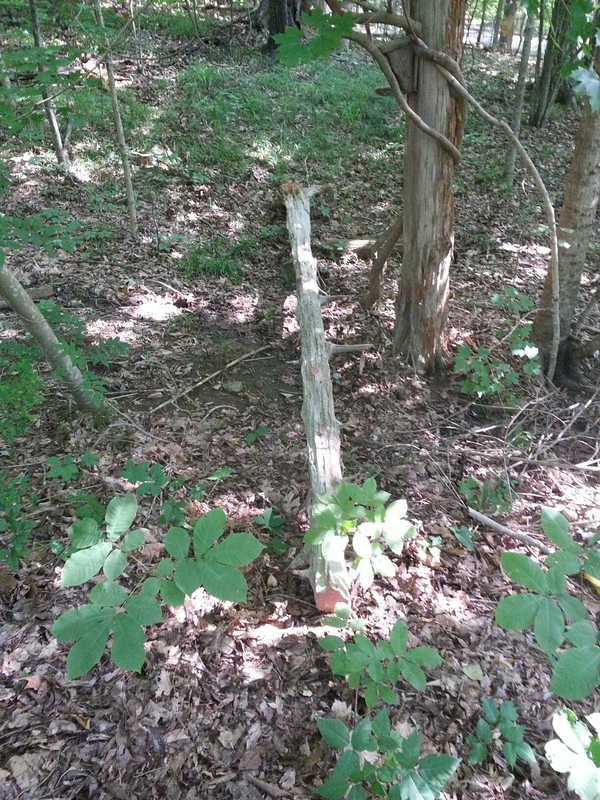 I test fit the log to determine which branch stubs under the log to shorten and use as support stakes in the ground. After setting the log in place I stood on the log and felt it was too bouncy for regular traffic to Merlin’s grave in the woods. 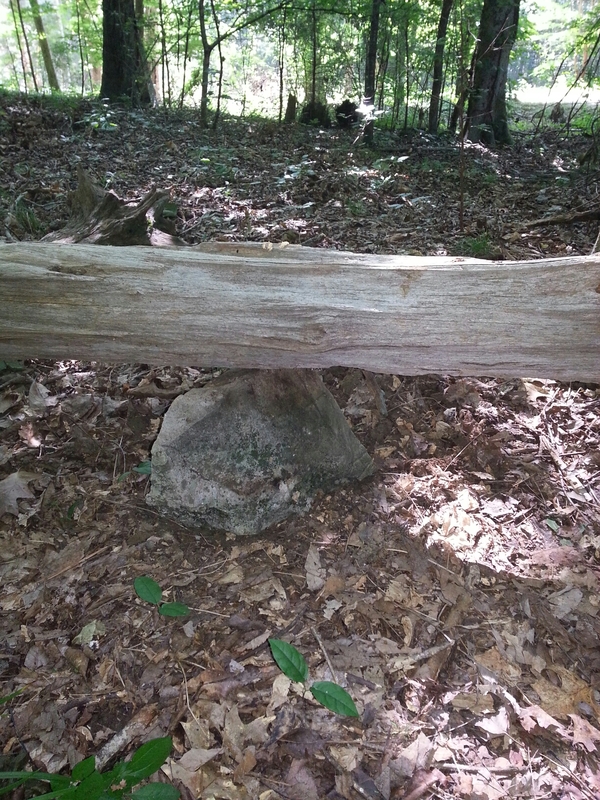 I found a rock up in the woods, tested its fit under the log — a little too high and unsteady. With a spade I dug out a solid footing for the rock and repositioned the log on top. 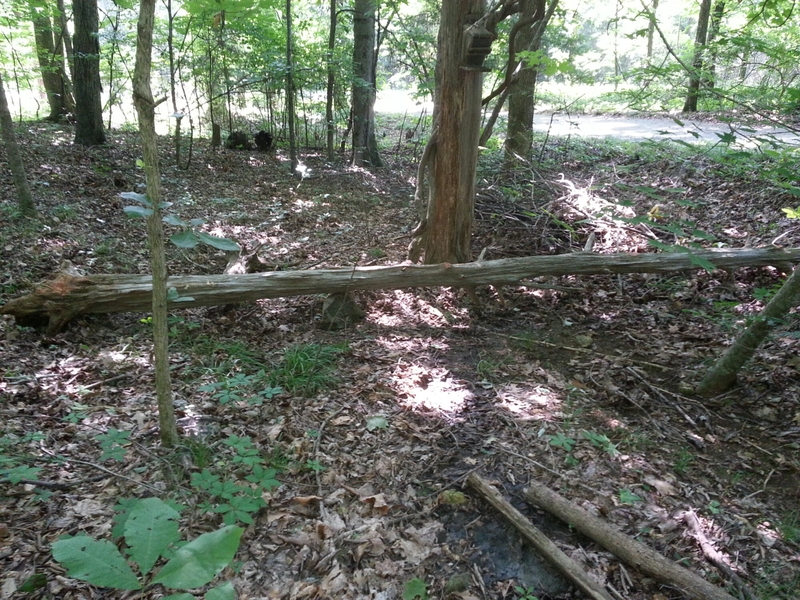 Thirty minutes and the job was done, using all-natural materials for the bridge; a Stanley 35′ PowerLock2 measuring tape to estimate the log length I needed (16 feet), a Great Neck bow saw to cut the log, and a now old-n-rusty spade I got as a “honey do” wedding present back in 1986 to set the rock in 2014. Time for a mid-morning snack and then find a place to fly my electric RC planes in the early summer stifling heat.